NER Timber buffer with steel rubbing plate and cast iron bracing. Made from ply for the framing and acrylic for the remainder. 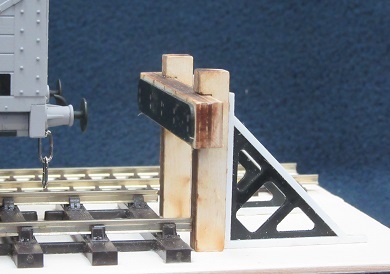 The buffers are designed to be mounted on the same level that the track is laid on.